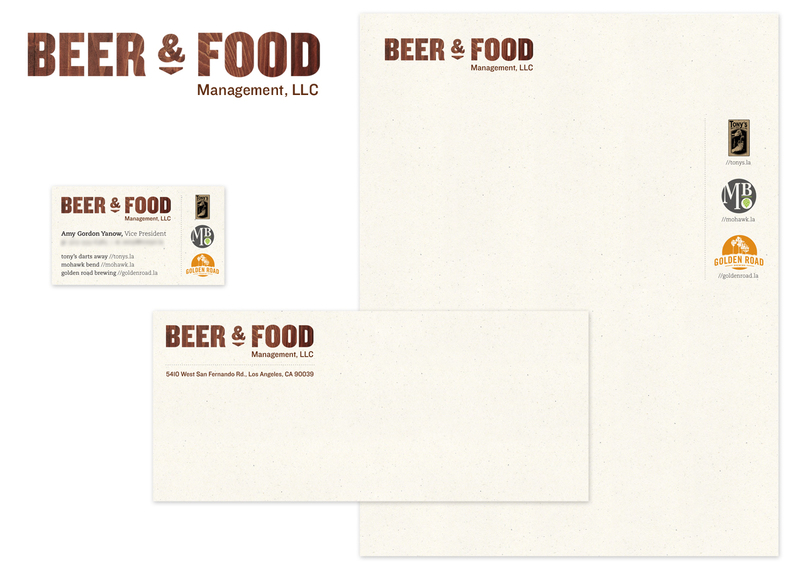 Brand & Identity Design, applied to a full-color stationery set for craft hospitality company. From the owners of Golden Road Brewery, Mohawk Bend and Tony’s Darts Away, comes expert hospitality team, Beer & Food Management, providing California-fresh artisanal catering and craft beer services for special events. In keeping with the local, hands-on theme, we’re using Neenah Environment 100% PCW recycled paper, and recalling the beautiful wood finishes found in your favorite public houses.